We live in a world that uses energy at an ever increasing rate. As a society striving to be sustainable and environmentally conscious, there is demand for high performance energy systems which utilize fewer resources. Of the various methods to deliver and utilize energy, I am most enamored with electricity. Electric motors and generators, or more generally “electric machines,” are a fundamental building block of modern society. In fact, over 99% of all the electricity on the planet originates from an electric generator regardless of the power source (wind, coal, nuclear, etc.) and roughly 2/3 of that energy goes on to power electric motors. Additionally, power electronics facilitate power conversion in nearly every modern commercial or industrial facility, home, vehicle or device ranging from microwatts to gigawatts. 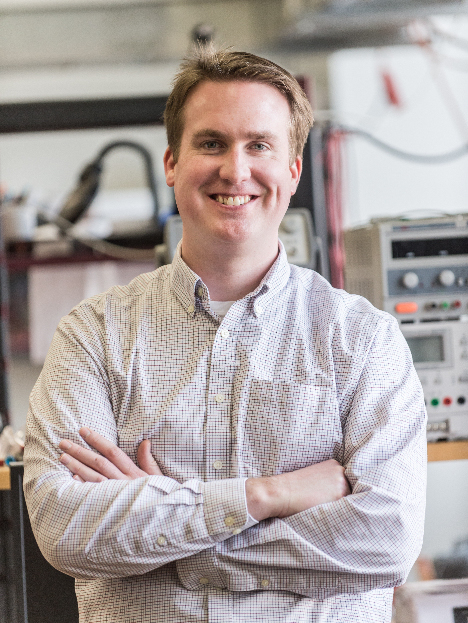 Recently, my work focuses on a multi-facetted power electronics, fluid mechanics and electrodynamics approach to develop capacitive (rather than inductive) electrical and electromechanical power conversion devices. Applications include wind turbines, electric and hybrid electric vehicles, aerospace, energy storage and infrastructure. My group uses extensive analytical and computer based analysis to design and construct laboratory prototypes for model validation.